More than 21 years ago, I walked into the Community Health Center Association of Connecticut (then known as Connecticut Primary Care Association) to interview for a new position. I wasn’t familiar with health centers or the vital role that they play in keeping their communities healthy. I was unaware of the many people in Connecticut, and across the country, who relied on health centers to address their medical, behavioral health, and oral health needs. And I had no idea how much my life was about to change as I joined the Health Center Movement and found meaningful work that shifted my world view and became a part of who I am. As I wind down my last week at CHCACT and prepare to join Southwest Community Health Center in Bridgeport later this month, I find myself reminiscing about the past two decades, and all that has changed – and stayed the same – during this time. In the late 1990’s into the 2000’s, there was a push to formally recognize the excellence in quality and operations through accreditation by The Joint Commission (then affectionately called JCAHO), the rollout of the National Health Disparities Collaborative and the systematic approach that was embraced and perfected at Connecticut’s health centers in treating patients with diabetes and other chronic illnesses. 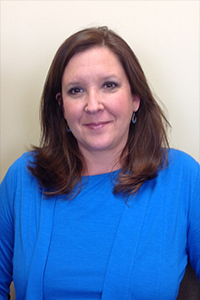 This was followed by the transition to Electronic Medical Records and the introduction to data that was captured and reported through an electronic means – rather than through chart audit and matchsticks on a notepad, as well as efforts to expand both services and locations to reach as many patients as possible. The past ten years have been centered on collaboration and integration. Health centers embarked on the Patient Centered Medical Homes (PCMH) journey and spread tendrils to other community partners to provide patients with a true medical home that followed patients through the health care system for comprehensive, coordinated care. 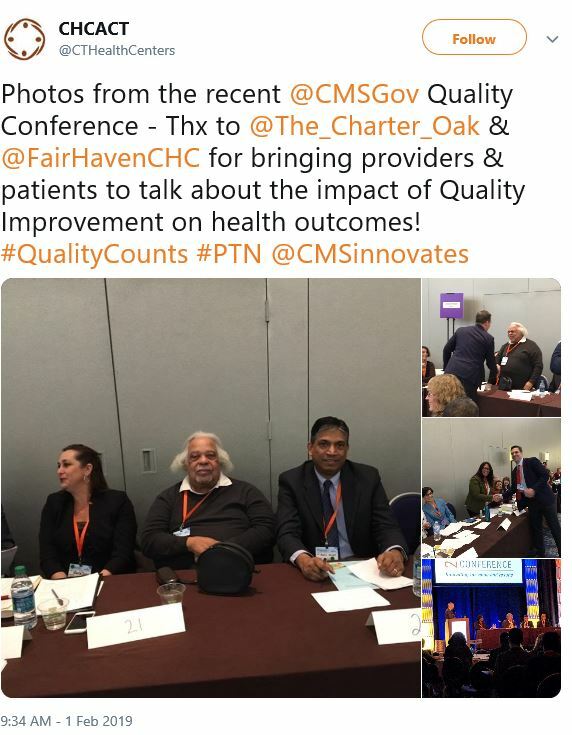 In 2015, practice transformation came to CHCACT members through the Transforming Clinical Practices Initiative (through the Centers for Medicare and Medicaid Innovation within CMS), shifting the way that primary care is delivered at Connecticut health centers. Patient care is managed by teams of highly dedicated providers and support staff to ensure the right care is available at the right time and right place. Data are used to drive decision making, measure progress, and hold health centers accountable for their efforts. At the start of the 4th year of this 4-year project, CHCACT members have far exceeded all their goals, saving the health system nearly $60 million, improving the clinical outcomes for thousands of patients with diabetes and asthma, and reducing unnecessary testing and hospitalizations. Yes, you read that correctly – CHCACT members are saving the medical system money WHILE improving the health and clinical outcomes of their patients. Amidst these changes, two themes have remained constant. Connecticut health centers have stayed on the cutting edge of health care, and at times, have led that charge. Connecticut health centers have embraced opportunities to forge new approaches and make significant positive impacts on their patients. The second thread running through my tenure in community health over the past two decades is the steadfast focus of Connecticut’s health centers on their missions – to provide high-quality, comprehensive health care services to all who seek them, regardless of the ability to pay. The compassion, commitment to excellence, and devotion to their communities drew me in all those years ago and continues to inspire and amaze me still.